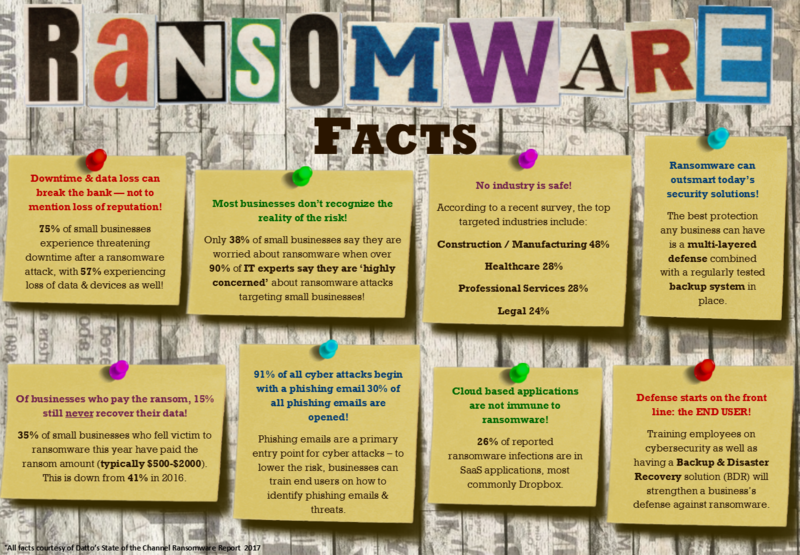 Ransomware has become a prevalent threat targeting businesses of varying sizes across the globe. We want to shed some light on this particular form of malware attacks, and highlight the relevant information from a recent survey on the current state of ransomware (courtesy of Datto, State Of The Channel Ransomware Report, 2017). Below are some ransomware facts that bring awareness to smaller businesses such as how ransomware can affect their bottom line and some ideas on how to stay protected.